I believe that leaders should be empowered to have flexibility to complete the task at hand. I also understand that oftentimes the most effective leaders at church are also effective leaders at home and in his/ her career. This means that we have an overload of responsibilities. A checklist can simply be a tool to help you think clearly for the preparation of your class when you have been juggling responsibilities elsewhere all week long. 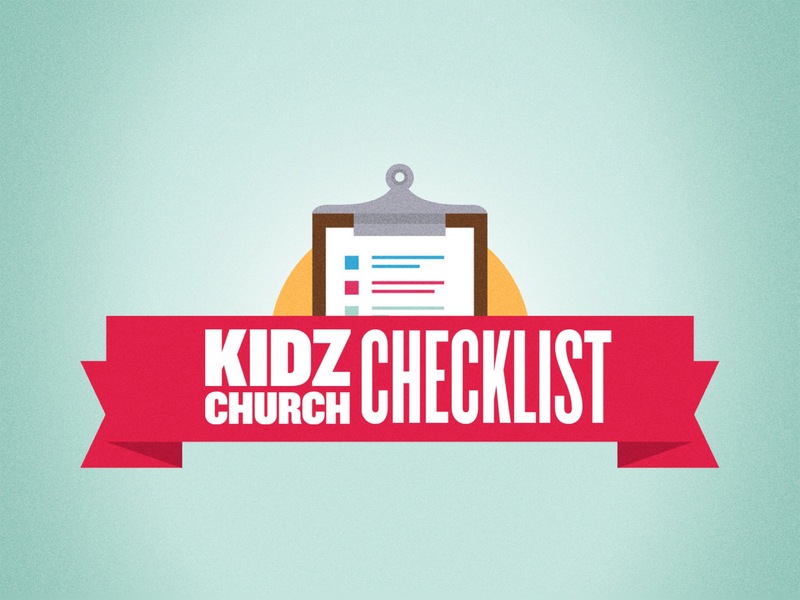 Today’s post is an actual checklist from an actual Kidz ministry. This checklist has already been revised a few times and I no doubt trust it will be revised many more times. Remember, this is only a checklist. This is not the 10 Commandments etched in stone. This is a guide to help you remember all of the elements that are taking place in your ministry. 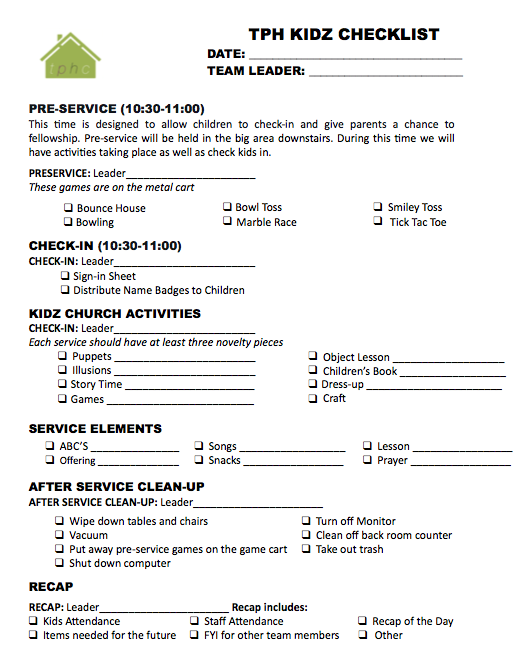 This checklist is based off a Super Church approach and may be different from how your ministry flows. 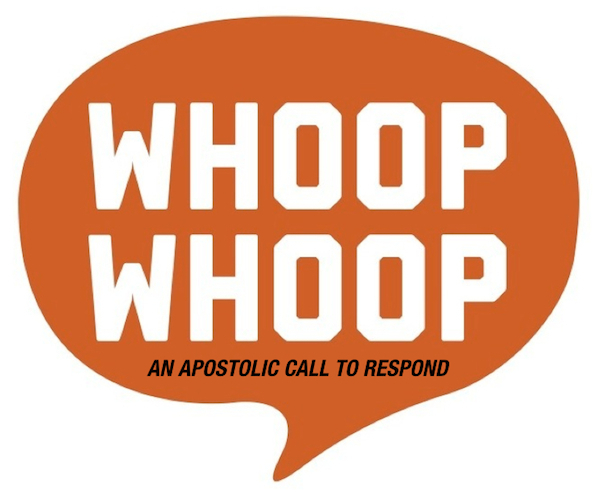 However, you can take this post and adapt it to your needs. At the end of the post is the image of the exact checklist that we use. I will start by laying out each piece of the checklist and then give my perspective on each section. This time is designed to allow children to check-in and give parents a chance to fellowship. Pre-service will be held in the big area downstairs. During this time we will have activities taking place as well as kids checking in. 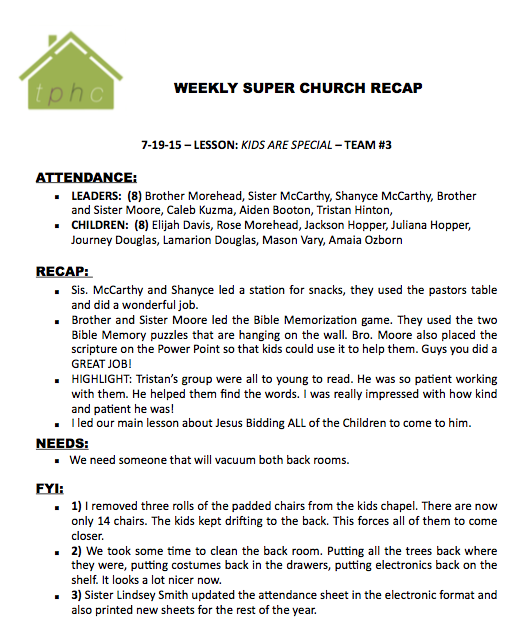 Posted on November 14, 2016, in Teaching Theory, Teaching Thursday and tagged administration, Atlantic District Kids, Kids Church Checklist, Kids Schedule. Bookmark the permalink. Leave a comment.